/dev/sda1: LABEL="System Reserved" UUID="EE2CE1122CE0D71D" TYPE="ntfs"
/dev/sr0: LABEL="Debian wheezy 20140209-18:05" TYPE="iso9660"
Now, GRUB won't boot! Either it conflicts with the 'old' GRUB in sda's MBR (I thought, when I said GRUB to install on sdc there would be only one GRUB on sdc's GPT) or I failed to install GRUB correctly or installing it on sdc5 was completely stupid while I should have installed it on sdc1 or somewhere else on sdc... Any ideas how to solve this? PS: I have tried to reinstall GRUB reading this tutorial but again the same error (this time I chose /dev/sdc as the location to install GRUB). 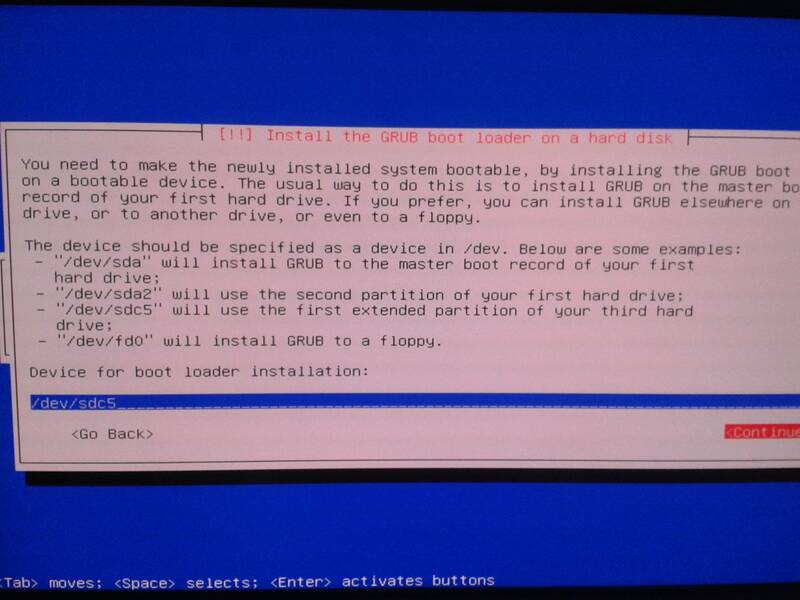 you have not updated grub and grub tries to boot the 4ccef65b-... device which doesn't exist. when the boot screen appears type e for edit. 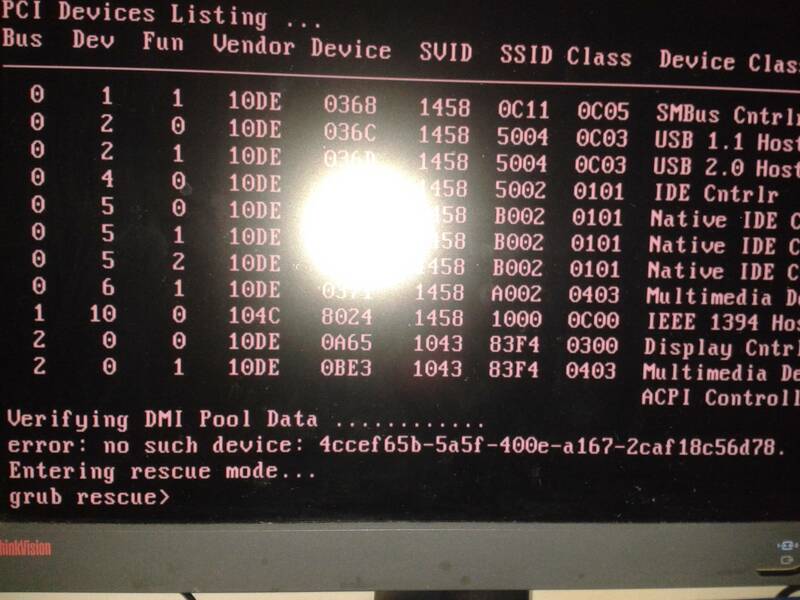 In the linux boot line change the 4cce... with roo=/dev/sdc3 or whatever your root partition is. If your system is up, run update-grub. the hard way, is to boot from a rescue pen-drive, mount your root and chroot (like explained in step 3 of your howto).